STOPPING over at the Caltex at Epping Forest for fuel and a welcome hot bite to eat, as well as one of Karen's splendid coffees, we caught up with Clinton "Rooster" How from Deloraine when he stopped over for a similar reason. 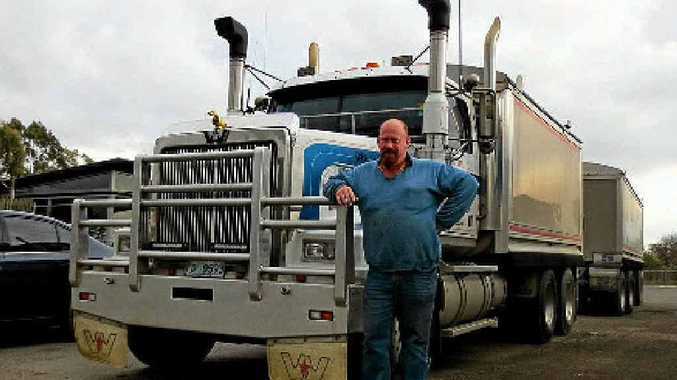 Rooster was driving a CREZZCO 2001 Western Star Constellation with a 500 cat up front and he was towing a quad dog with a load of gravel from Deloraine out to Fingal at the time. He tells me he has been with the outfit for seven years now, and finds it a great outfit and good people to work for. There's plenty of variety, and at this time of year a few boggy paddocks too, hence the truck not being its usual sparkling clean self.